Thanksgiving is less than a week away and after that the Christmas season gets in to full swing. The Klein Tools elves have been hard at work creating some pretty awesome “toys” for us to give away to you! Here it is! Mark your calendars! Set reminders on your phone! Because you’ll definitely want to get in on these great holiday deals! Don’t worry, we’re giving you a couple of days to recover from that delicious Thanksgiving dinner, but come December 1st (Cyber Monday) we launch our first holiday deal. How exactly do you get in on it? Join the KLEIN TRADESMAN CLUB! Yep, that’s it! If you join, we’ll send the deal directly to you via email (if you’re already a member, you’re already on the email list so you don’t have to do anything!). This is an exclusive deal for Tradesman Club members only, so I can’t give you all of the details. I will say this though, if you are a fan of anything camo, go right now and sign up for the Tradesman Club! Back by popular demand is our 2nd annual 12 Days of Klein. 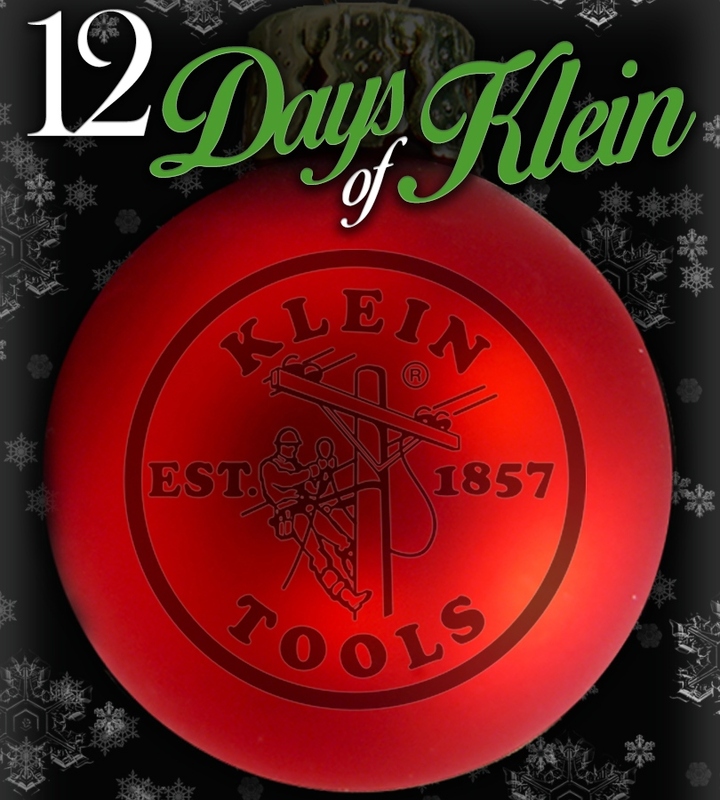 It’s like the 12 days of Christmas, but instead of partridges in pear trees we are gifting you with FREE Klein Tools! Starting the week of December 8th we’ll post the first day’s gift on the Official Klein Tools Facebook page. Use that post to enter for a chance to win that day’s gift. We’ll post a new gift each day for 12 days straight. You can enter once a day for each of the 12 days. I’ve seen the list of gifts and there will be a little something for everyone, so keep checking back each day! If your family is anything like mine, it’s an ordeal every year trying to figure out what everyone wants (“Oh, I’m sure whatever you get will be great.” Ugh!) So, what do you get the electrician/HVAC Tech/Lineman who has everything? Or if you are one of those guys or gals, how do you let your loved ones know what to get you? Check out the Klein Tools Holiday Gift Guide! We did our due diligence and carefully selected the hottest Klein tools of the season to put on our Holiday Gift Guide. And to make it even easier, we’ve linked each product to our network of distributor partners so you or your loved one can quickly find a place to purchase that coveted tool! Is there a tool you want that you DON’T see in our gift guide? Let us know and we’ll do our best to add it! Like and follow the Official Klein Tools Facebook page. And check the page every day starting the week of December 8th. Send the Klein Tools Holiday Gift Guide to your friends and family. We hope this made your day merry and bright and we’re excited to spread some Klein Tools holiday cheer!